Combines to support fat metabolism, energy and focus - giving you the mental edge you need to shred the competition. 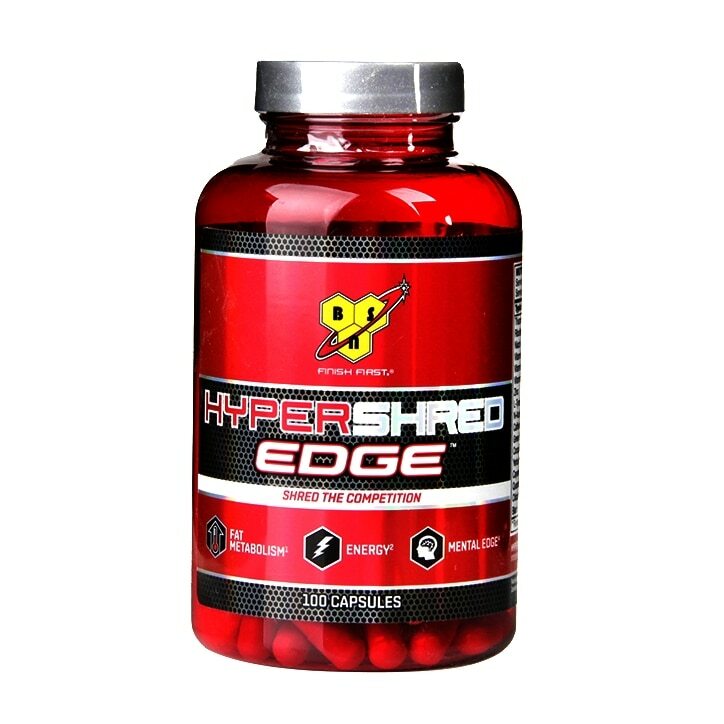 HYPER SHRED EDGE is BSN's most intense fat metabolising formula ever. Take 2 capsules twice per day, ideally with food. L-Tyrosine, N-Acetyl L-Carnitine HCl, Gelatine Capsule (Colours: Titanium Dioxide, Iron Oxides, Carmoisine), Caffeine, Green Tea Extract (Camellia sinensis, leaf), Cocoa Extract (Theobroma cacoa, fruit), Yerba Mate Extract (Ilex paraguariensis, leaf), Cayenne Pepper Extract (Capsicum annuum, fruit) as MaxiTherm®, Citicholine as Cognizin®, Bulking Agent (Microcrystalline Cellulose), Quercetin Dihydrate, Nicotinamide, Zinc Citrate, Anti-Caking Agent (Magnesium Salts of Fatty Acids), Calcium D-Pantothenate, Black Pepper Extract (Piper nigrum, fruit), Thiamin Hydrochloride, Pyridoxine Hydrochloride, Riboflavin, Cyanocobalamin. To be used in the framework of a varied and balanced diet and a healthy lifestyle. Food supplements are not to be used as a substitute for a varied diet. Do not exceed recommended daily dose. Keep out of reach of children. Carmoisine may have an adverse effect on attention and activity in children.